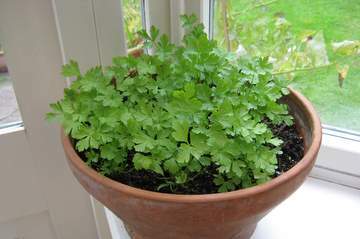 I'd like to share some photos of our pot parsley and chives. We are lucky to have a garden and grow many vegetables and herbs out of doors in the ground, but we also keep some of our herbs in pots. 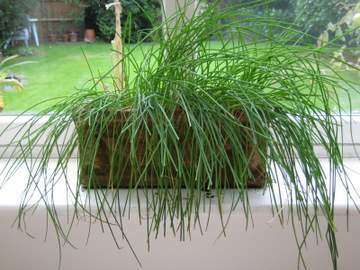 When the weather gets colder we bring these indoors to prolong their growing season - they do well for quite a long time on a bright, sunny window ledge.